When your college students are ready for off-campus living, they need a home that’s comfortable, modern, and conducive to their academic lifestyle. You’ll find it all with The Social Knoxville. We offer apartments that are styled specifically with students in mind, offering premium living spaces, modern features, and a home environment that inspires students to work hard (and play hard too). We’re proud to present the finest student living options near the University of Tennessee, Knoxville. Give your child an unforgettable college experience at The Social Knoxville. You have a million things to worry about when your child goes off to college, but thanks to The Social Knoxville, you can take housing off the list. 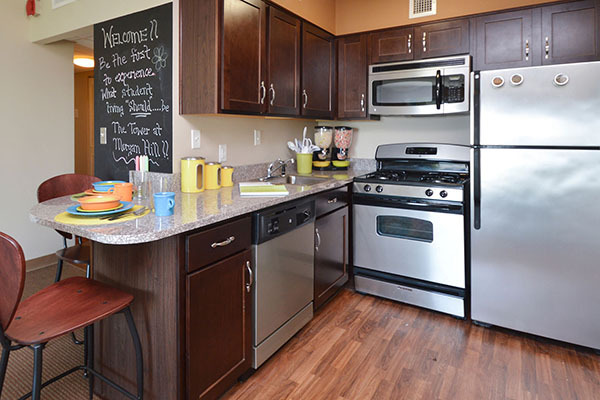 Our premium apartment options are modern, meticulously maintained, and set in a prime location—so when it comes to your college student’s home base, you can rest easy. The full college experience is available just steps away from the University of Tennessee, Knoxville at The Social Knoxville. 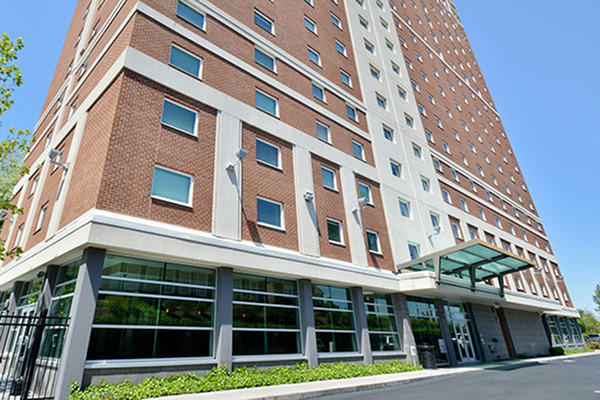 The Social Knoxville has undergone a multimillion dollar renovation, but we are still committed to offering the most value for our students by meeting various housing needs with flexible leasing options and a wide array of amenities. All floor plans are available to lease privately, or you can utilize our free roommate matching services and lease for less. Your individual liability lease will include access to all of our community areas such as our 24-hour fitness facility and our technology center that features iMacs, PCs and free printing. We have a newly renovated rec room, relaxing pool, friendly on-site team, weekly resident events, and so much more! Location is everything, with a short walk puts you on campus, on the Strip, or in Tyson Park. Only 2 blocks form Wal-Mart, Publix and across from Sorority Village. You can bike downtown via the greenway and be on Market Square in minutes. Kroger, Fresh Market, Earth Fare, Regal Riviera 8 Cinema and a host of other shopping and entertainment are within a 3-mile radius. Do you have to be a UT student? No! In fact, with its convenient location to we are an ideal location for anyone! We have residents that attend Johnson University, Paul Mitchell, Knoxville, Tennessee College of Applied Technology, Pellissippi State Community College, and Ross Medical Education. Ride the T! We are just a few steps from UTK Campus, so depending on where you are attending, a bus may not be necessary. There is a UTK bus stop right outside of the property that runs every 10-15 minutes. For schedules and maps, https://ridethet.utk.edu/route-information/. All of our One and Two bedrooms come with all utilities including electricity, water, sewage, trash, internet, and cable! Reserved, on-site parking is available in our adjacent garage for a nominal cost to our residents. Yes, each unit is fully furnished with modern selections! All furnished apartment homes include a full-size bed frame with mattress, drawer storage, a desk, leather couch, chair, dining room set, entertainment center, and coffee table. 24/7 key card access is required to gain access to the parking area and main lobby as well as all amenities and elevators. We also have cameras in every building and common area throughout the community. We encourage all of our residents to report any suspicious activity to our on-site team and as always, dial 911 for emergencies.